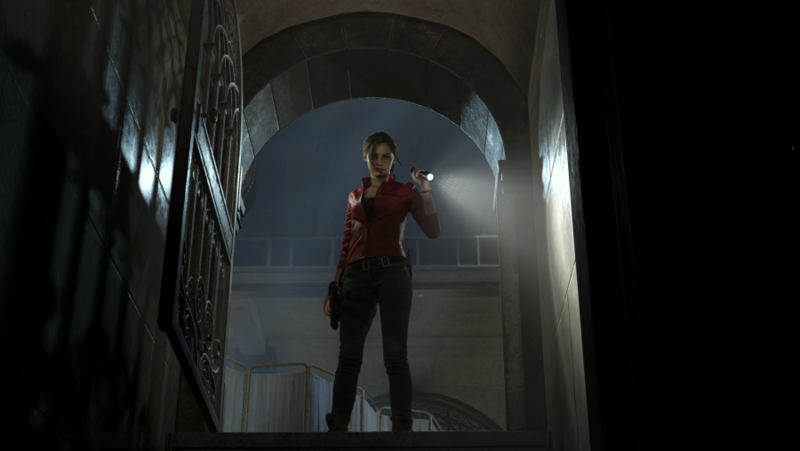 I am Claire Redfield, shaking in my boots, which are now smeared with the dirt of the dank sewer in which I find myself. The silence around me is deafening as I trudge further into the depths. 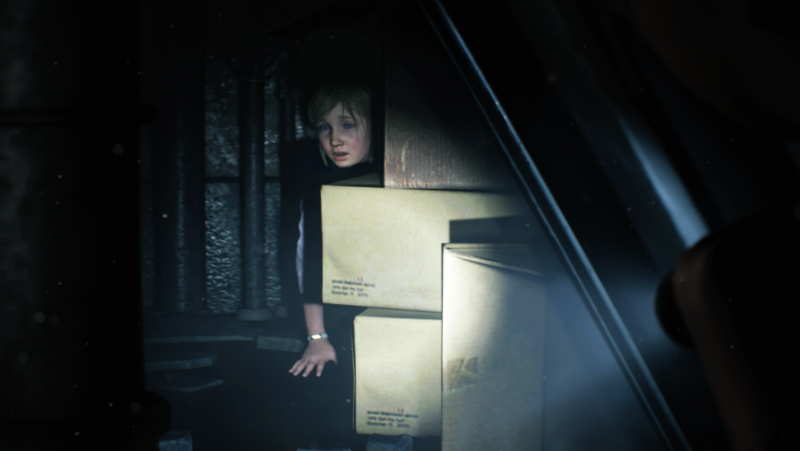 And for good reason: even if you know the original game back to front there are plenty of disturbing twists and tweaks to keep you on your toes. For a newcomer like me, though, this is all fresh – every last bang, scrape, and yell makes the hairs on the back my neck stand up. That said, even the opportunity to stock up on ammo and items early on in my demo proved to be portents, suggesting something grim is lying in wait ahead. My instincts prove correct. After finding the diminutive Sherry Birkin cowering in a corner, it becomes immediately apparent that my approach is not the reason for it. The smirk I might have worn after her pantomime warning of ‘he’s behind you’ is quickly denied once I turn round to see a nightmarish, gory form breathing down my neck. Her dad, William G. Birkin – the man at least partly to blame for the spread of the virus turning everybody into the ravenous undead – towers over me, hideously mutated and madly flailing his nightmarishly oversized shoulders. His head leers at an angle; little more than a useless appendage. Where the arm of this once brilliant scientist meets his torso is a bulbous, twitching yellow eye that gleams menacingly. 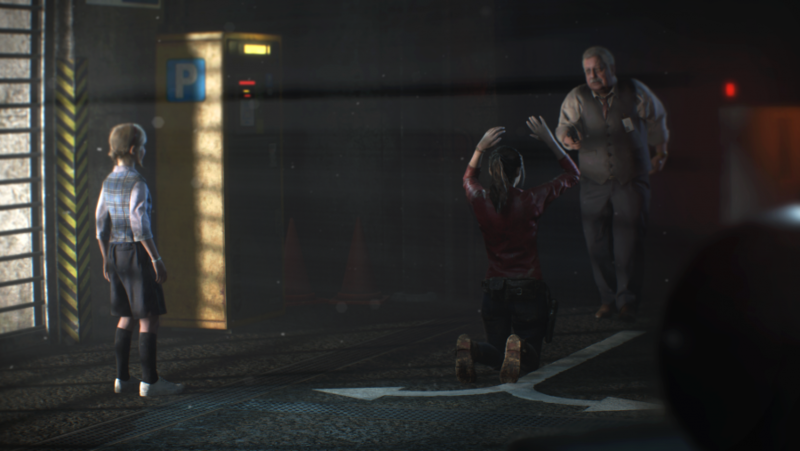 We enjoyed our first hands-on with Resident Evil 2 at E3 2018 as we navigated the beautifully creepy labyrinth of Racoon City Police Station. For us, Capcom’s remastered sequel sets a new standard for remakes. 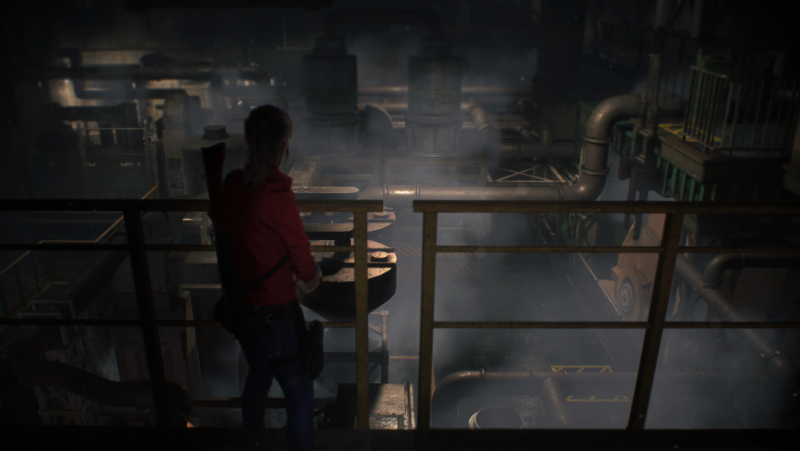 The ensuing boss fight dominates my demo as everything from the unnerving sound design to the claustrophobic miniature maze that ensnares me ramps up the terror. Bill’s desperate moans reverberate around my dim environment, rising to shouts and screams when his awful eye meets mine. When I’m spotted, my nasty nemesis thunders towards me, clattering into pipes and metal cabinets, hoping to land a killing blow. Ours is a tense, tight arena, full of dead ends. Ammo is scarce and can only be grabbed in the brief time it takes Birkin to recover from his latest assault. Hiding around corners and taking potshots where possible at his gaping eye appears to be working – with some blasts from my grenade launcher for good measure – but my weapons are swiftly running low. Each missed shot is costly but a last-second session of acid ammo crafting and quickly firing it into the bulbous flesh trying to steamroll me is enough to finish him off. 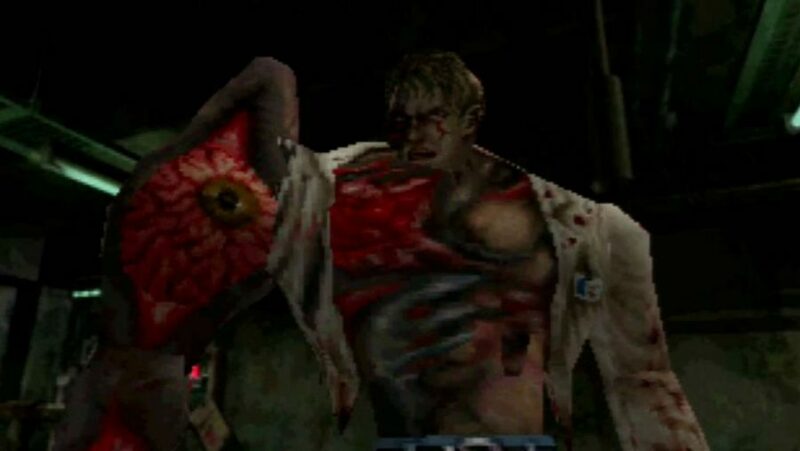 If shots don’t land this gives this monstrosity a chance to grab his prey, at which point the scale of the advances made by the RE engine become unmistakeable. The camera zooms in as Bill’s arm, bulging with grotesque, glistening red muscle latches onto my skull, squeezing the life from it and smashing it to the floor. 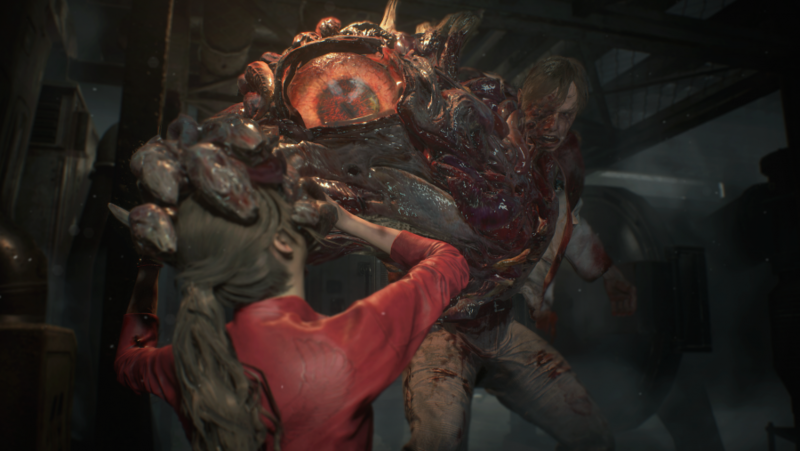 Resident Evil 2 remake is as wonderfully gross to behold as any game in Capcom’s famous horror series, and it resonates even more with an over-the-shoulder camera that forces you to get even closer to the action. 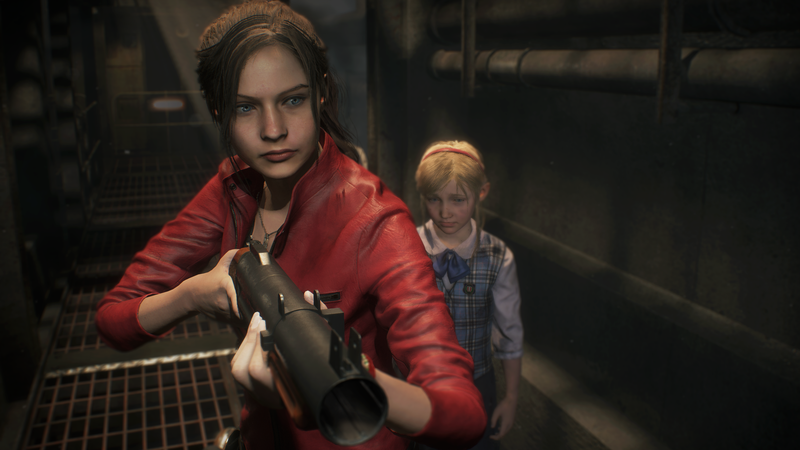 Not only does the Resident Evil 2 remake set a new bar for remastered games, it’s boss fights are better than ever, too. 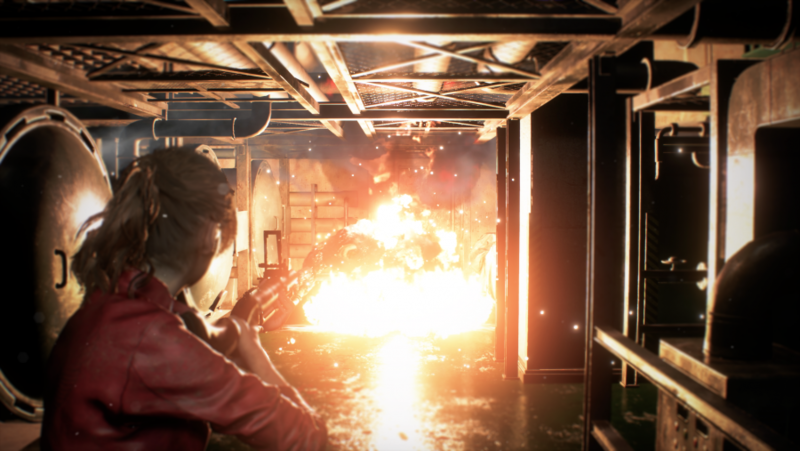 New players blooded on Resident Evil 7 that missed the ‘90s horror boat will be treated to a terrifying and fresh adventure with the modern game mechanics they’re used to. Whereas veterans can bask in the refreshed visual and sound design that elevates their cherished horror memories into something new. 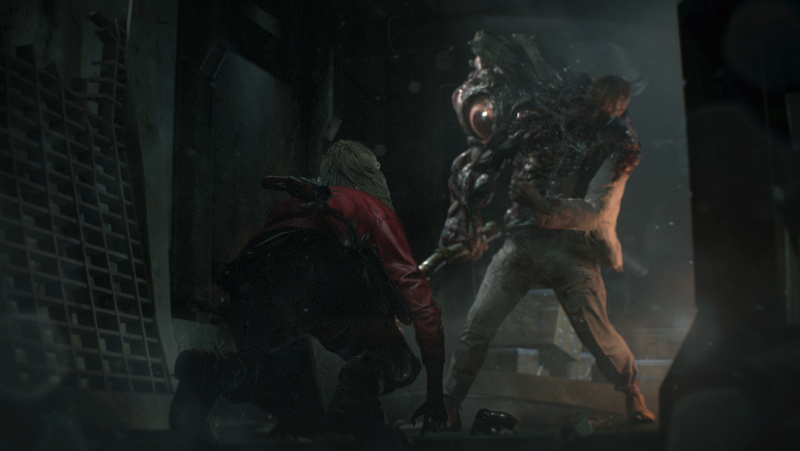 After being forced to face my zombie-infested fears, I can’t wait for more of Resident Evil’s classic brand of horror to rip my skull off and chomp on the gore left behind.